House of 120m2 with 2 bedrooms for 5 people. Varied landscape around: vine, fields, forest promise you many quiet walks. Colorful home offers all the comfort needed for a peaceful holiday. Large living room (60m2) with terrace overlooking a closed courtyard where you can enjoy your meals in peace. In the back, vast wooded space for naps in the shade of trees. A large bedroom (1 bed 140 + 1lit90) opens onto a large terrace on the 1st floor. The other room (2 beds ED90) overlooks the wood. A garage allows you to shelter your bikes or car. Private parking in enclosed area. Ranking 3 STARS. The owners live nearby and grow a vegetable garden that you can enjoy naturally. Possibility of sensitization to sculpture. - 1st floor: 1 bathroom with tub - toilet and an enclosed. - Ground floor: 1 bathroom, 1 separate toilet. This property is located in the heart of the castles of the Loire, near the Loire and the forest (many bike paths). In limit of AMBOISE, you have the shops at 2 kms. You have 2 dining or rest areas depending on the power of the sun, one to the west giving in the inner courtyard, the other to the east where the trees will refresh you. The house is surrounded by a big garden, in which chickens are living the dreamlife. The kids also had a blast playing with water, playing football and looking for flowers & herbs. The house is located close to the city (a couple of km, so you can go to shops by bike) , yet it is in a very quiet area surrounded by fields. The place itself isnt very modern but it's pretty big, cool (despite the heat outside) and has a ton of character. The hostess was very welcoming. We could even use herbs from the garden. She also reacted promptly when we had an issue with the fridge. The new one was delivered the very next day! C'est toujours un plaisir de savoir que vous avez passé de bonnes vacances avec de jeunes enfants dans ce lieu qui ne présente aucun danger. Il est vrai que la maison est restée fraiche malgré la canicule et qu'il y règne un calme absolu. J'ai apprécié votre présence harmonieuse. Merci beaucoup. We stayed at this Gite for 11 nights during the Christmas period. The location is also good, rural, but very short drive from Amboise, the closest town, which is quite nice and pleasant, with all amenities needed. Logement parfait, déco de bon goût, séjour reposant pour tous ceux qui apprécient la campagne , nous avons adoré les poules en liberté!! Merci aux propriétaires de leur accueil . Nous reviendrons avec plaisir . Heureux de vous avoir rencontrés mais séjour trop court. Merci d'avoir apprécié nos amies les poules qui sont bien familières. Ce sera une joie de vous revoir et pensons bien à vous en espérant que vous n'avez pas eu trop de dégâts. Location très agréable et conforme à la description. Maison idéale pour des magnifiques vacances dans un calme absolu. Nous avons apprécié l'accueil et la gentillesse des propriétaires qui sont toujours de bons conseils. Nous avons aimés aussi la présence des poules et des poussins qui donnent un petit air de vie à la campagne tout en étant proche de tous les centres d'intérêts. In the heart of the castles of the Loire, this vast house is a good base for visits. Gastronomic restaurants, wine cellars (AMBOISE AOC), regional products market on the banks of the Loire. 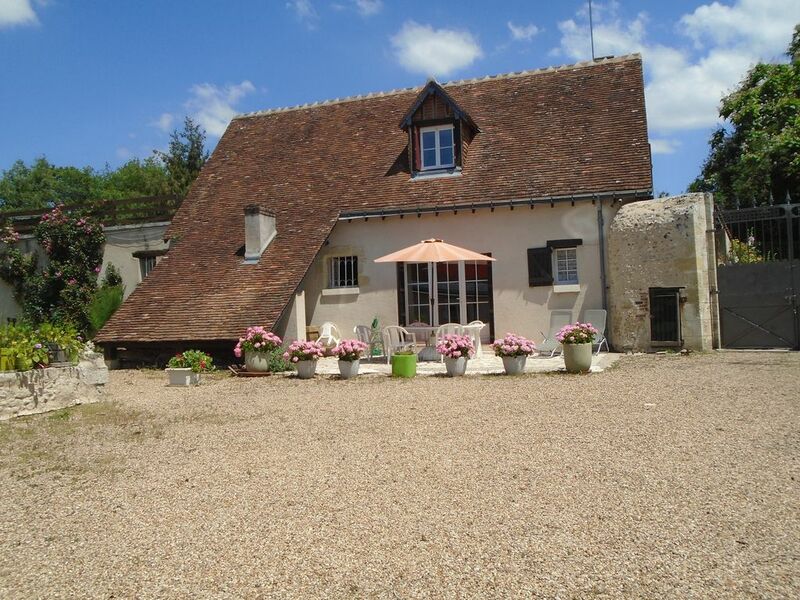 On the edge of AMBOISE, in a varied landscape composed of vineyards, fields and forest this house allows you to make great hikes (footpaths nearby), 5 bike tours allow you to discover the archaeological Touraine and to walk along the river ' The Loire'. Of the nearby wineries allow you to appreciate the wine appellation 'Touraine Amboise'. Many gourmet restaurants and sporting activities.